The room is clean and tidy. The surrounding is quiet and near to Ladies Street ( with walking distance). Near to Mong Kok East station. Would like to stay again if there is a chance. Overall the hotel is clean, and walking distance to MTR. Walking distance to female market. Location a distance away but you can use the shuttle bus if necessary. Otherwise, walking is 10 minutes from Mongkok. Convenience store is nearby and supermarket is opposite. Convenient. Otherwise, nothing special but meets my requirement as I did not stay in room for long. a bit far from transportation but overall ok. recommend. Area too quiet for tourists, it’s good the hotel provides a free shuttle to Tsimshatsui every hour. Two family of four with kids under the age of 11yrs. Booked the 2x deluxe family room which consisted of 2x double beds (they were actually the size of a queen bed). The location was perfect, with bus stop right at your front door, MTR/Temple Market/ Ladies Market within walking distance. Pool was nice and heated, gym had only 5x cardio machines and 1x all in one home weight machine (very small gym). Staff was pleasant with good English. The only down side was the rooms smelt damped/Wet/mouldy with aircon running on or off. Not all rooms smelt like this. Fewer shuttle buses slots. No pick up at mongkok station now. Location is far from mtr (15minutes walking journey) One of saff (wearing spectacle age between 25 to 32) at the concierge wasnt helpful. He was too engrossed with his mobile phone and wasn’t aware that I was standing there waiting for him to attend to me until I have to knock on the desk and wave at him to catch his attention. When I resqusted for a taxi to the airport he pointed to the taxi at the road side traffic light and said there is a taxi there. room needs to be renovated.. old furniture. breakfast is just so so, same selections everyday. First trip to HK Their servies are so good & facilities are neat. We had trouble in our flight due to bad wether. So we talked this hotel about our situation. Then they dealed with it quickly. They really saved us! Despite 10-15 min in a walk from MTR to this hotel, access from the airport is very easy. 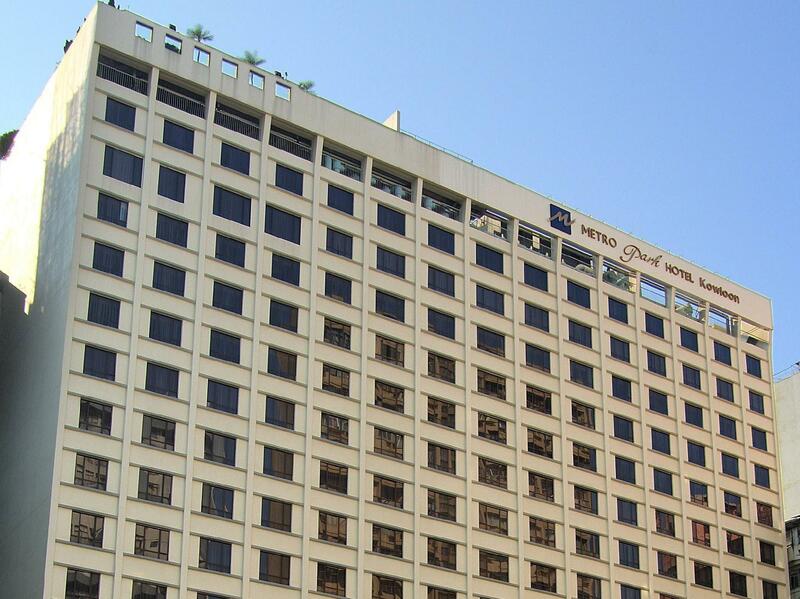 After taking Airport Express to Kowloon and transferring free shuttle bus line K5, you can reach in front of the hotel. There are gym and swimming pool in the hotel. Anyway, if you'd like to walk around town both Kowloon & HK Island, this hotel provide you good servise with reasonable price. Dear YOSHIKO Thank you for your recent stay and valuable comments. We are pleased to learn that you enjoyed your stay with us. For our guests taking MTR as transportation, we would recommend the Mongkok East Station which is within walking distance of around 8 minutes from our hotel. To facilitate the easy access to city centre, we provide free shuttle bus service to Tsimshatsui via Mongkok. You are welcome to take a ride in your next visits. Hope that we will have the pleasure of welcoming you again in the near future. Dear Xuan Thank you for your recent stay with Metropark Hotel Kowloon. For our guests taking MTR as transportation, we would recommend the Mongkok East Station which is within walking distance of around 8 minutes from our hotel. Free shuttle service is run frequently providing easy access to the major transportation network. You are welcome to take a ride in your next visits. We look forward to being of service to you in the near future. Dear Sharon Thank you for taking time to share your review. For our guests taking MTR as transportation, we would recommend the Mongkok East Station which is within walking distance of around 8 minutes from our hotel. To facilitate the easy access to city centre, we provide free shuttle bus service to Tsimshatsui via Mongkok. Please feel free to take a ride in your next visit. Upon receiving your comment, our engineer had checked the ventilation system and fixed the defects. We will monitor closely to ensure a fresh environment for our guests. On the other hand, we are planning to renovate our hotel from floor to floor. Hopefully you will see our refreshing look soon. We look forward to being of service to you again in the near future. Dear Sharon Thank you for staying with us. To facilitate the transportation between our hotel and the airport, we provide airport transfer at HK$120 per person per trip. For For our guests taking MTR as transportation, we would recommend the Mongkok East Station which is within walking distance of around 8 minutes from our hotel. Free shuttle service is run frequently providing easy access to the major transportation network. You are welcome to take a ride in your next visits. Hope we will have the pleasure of welcoming you back soon. Dear Teh Thank you for your recent stay with Metropark Hotel Kowloon. We are pleased to learn that you had a pleasant stay with us. We always endeavor to provide a warm and comfortable hospitality to our guests. We look forward to welcoming you again in the near future.